Edinburgh, Scotland, UK – November, 20th, 2018 – HSL Mobile, a leading provider of SMS text messaging to organisations, have today announced that they will be providing free subscriptions to their emergency SMS communications tools in response to the Scottish Government’s new Fair Work Charter for Severe Weather which was published on Friday, 16th November 2018. HSL Mobile will provide services for free to organisations signing up over the winter period as part of their drive to help large and small organisations throughout the UK adopt the new Charter and enable them to communicate effectively with their employees during severe weather. 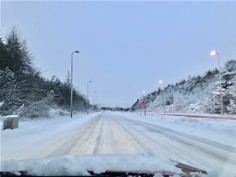 During winter 2017-2018, the UK was subjected to some of the worst weather and snowfalls of recent times after the ‘Beast from the East’ storm early 2018. Many businesses, schools and other organisations closed their doors during the storm. However, many trade unions and staff have complained about the treatment of some workers during the storm which has led to the Charter setting out fair work practices and recommends that all employers have a severe weather policy. With winter 2018-2019 being predicted to be one of the coldest and harshest winters for a decade means that the ‘Beast from the East’ was not a one-off. Businesses need put plans in place now to minimise disruption and to ensure staff safety is prioritised. Organisations that have plans in place to enable quick communication with staff can save thousands of pounds over the winter period and allow for more effective business continuity plans in a crisis. Using SMS messaging can allow organisations to get a critical message rapidly to large or small groups of people. HSL Mobile are offering their AlertBroadcast and WebSMS solutions free to employers to help them adopt the new Charter. These services will be provided with a number of SMS messages included without charge. To obtain the free service all organisations need to do is signup online at https://hslsms.com/winter. The HSL Mobile AlertBroadcast for Business Continuity solution allows organisations to get a message out quickly to groups of people simply by sending one simple SMS text message from a mobile handset without the need for a computer or Internet access. This solution can greatly assist organisations in ensuring that business continuity plans are effectively executed, thus ensuring that loss of productivity is minimised. Additionally, HSL Mobile’s WebSMS solution is an online portal that allows companies to logon from any device with internet capability and send SMS messages to predefined distribution lists, for example to staff lists, key stakeholders and customers. Further APIs are available for organisations to easily integrate into existing CRM and MIS systems making it extremely easy to implement such an important communications strategy. HSL Mobile has been relied on and trusted by many organisations since 1999 with many large enterprise customers such as DHL, John Lewis, NHS and Save the Children trusting them to deliver millions of messages per month. At HSL Mobile our innovative mobile communication services add real value to organisations. We connect teams and organisations with their customers, suppliers and partners to enable them to be more effective and efficient. HSL Mobile is a global provider of mobile communication services to enterprises. Having been founded in 1999 in Edinburgh, Scotland, the company continues to deliver excellence, reliability and innovation in its services, enabling customers such as DHL, John Lewis, NHS and Save the Children to employ them in business critical applications. As a mobile operator in the UK we have invested heavily in our mobile communications infrastructure. We operate our own SS7 Short Message Service Centres (SMSCs) which are used in conjunction with direct and indirect connections to mobile networks for the delivery of messages. Our core messaging infrastructure is located over multiple datacentre sites in the EU and is capable of handling millions of messages per day. The company is headquartered in Livingston, Scotland.